Welcome to the final day (Day #8) of Spirited Chocolate Theme Week. Today, the last day of 2016, we're going off-track a bit, by making some homemade licorice chocolate cookies and cupcakes, with at least three different chocolate ingredients and some added flavors. What spirit infused today's baked goods? 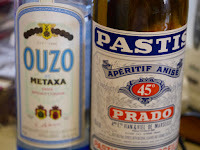 I tried to decide whether to use Ouzo or Pastis liqueur to flavor today's (gluten-free) chocolate cookies and cupcakes. I decided to use a little of both. I used chopped bits of a left-over licorice chocolate bar to enhance the licorice flavor, and added some dried, crushed fresh fennel and bits of tangerine peel. 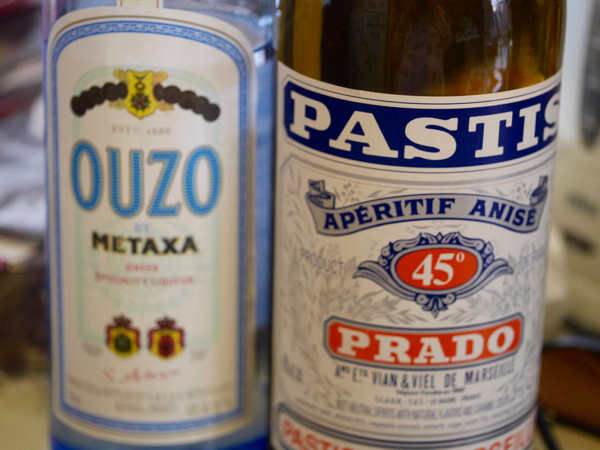 I thought they were wonderful, but I tend to like all Mediterranean-leaning flavor combinations. Even if you don't like licorice, you might want to give these a try. 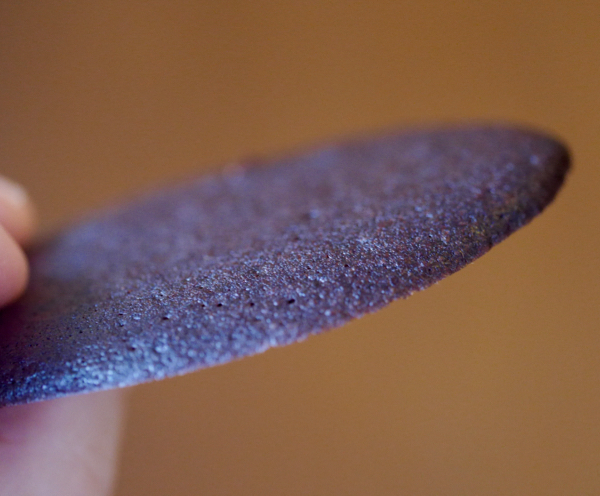 The small, thin cookies were slightly crunchy around the edges and slightly moist and cake-like in the middle. 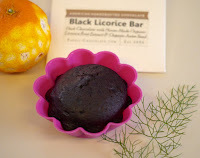 The cupcakes were moist and full of chocolate, licorice, fennel, citrus flavors.